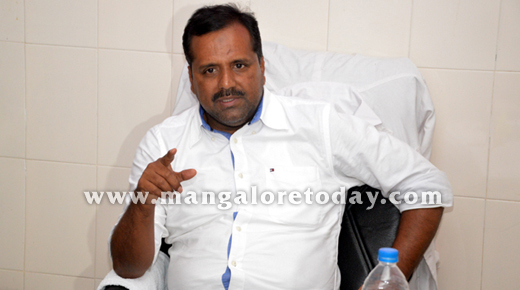 Mangaluru, May 13, 2015: Health and Family Welfare Minister U T Khader clarified that Health Department Commissioner’s order to Government Lady Goschen hospital superintendent Dr Shakunthala M Mugadur to return to her parent department (Government Wenlock hospital) is not only due to death of a puerperal woman in Government Lady Goschen Hospital on May 7, but also for various other reasons including the earlier deaths in the hospital. Apparently, Dr Shakunthala received the order to return to Government Wenlock hospital, a day after a post delivery woman died in the hospital. It may be recalled that Dr Shakunthala has been on deputation at Lady Goschen Hospital for the last eight years and as per Commissioner’s order, her deputation has been withdrawn. Dr Shakunthala received the orders on May 8, she is yet to hand over the charge it is said. 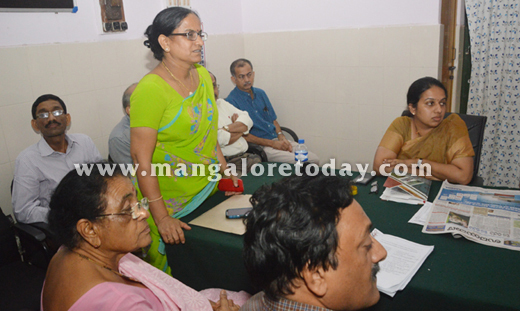 Report in 3 days : Speaking to media after chairing a review meeting at Lady Goschen pital here, on May 12, Tuesday, Minister Khader said prima facie report on the death of a puerperal woman after the alleged negligence by doctors of Government Lady Goschen Hospital, on May 7, would be ready before week end. Stating that the government has considered five deaths in last one and half months in the district, the Minister said a three member committee comprising- Dr N R Suresh, Dr Arathi and Dr Shantharam Baliga has been formed to probe the incident and they would submit a report within three days. Appointing nursing staff : The minister said Lady Goschen Hospital has 60 nurses working against the required number of 100 to 120. About 33 nurses will be recruited in Lady Goschen and Aroghya Samithi would offer a stipend of Rs 7,000 to them. There is no scarcity of gynecologists and pediatricians in the hospital. A full-time physician will be appointed by the department or by KMC Hospital, he said. 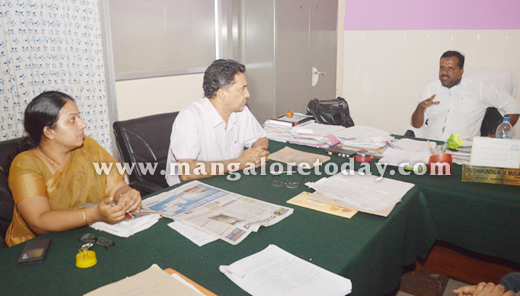 Minister Khader was disappointed by the slow pace of construction work of the new building of the hospital. He added is this situation continues, the builder will be black listed. DK Deputy Commissioner Adoor B Ibrahim and Zilla Panchayat Cheif Executive Officer P Sreevidya were also present. .